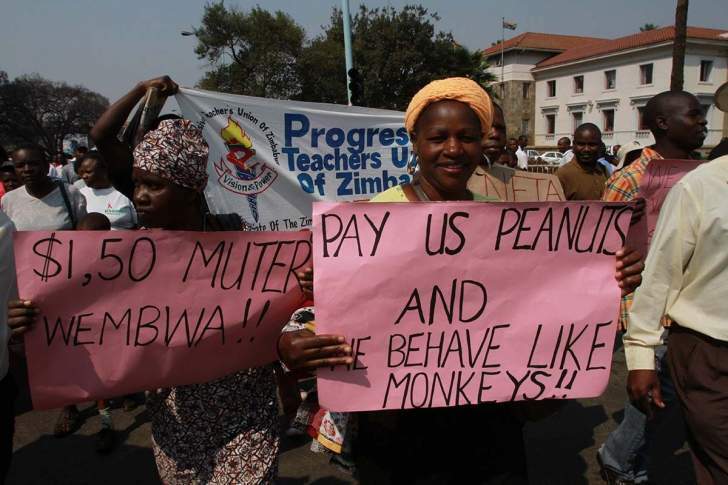 A labour federation leader charged with subversion appeared in court along with dozens of others accused of involvement in the protests, while their lawyers accused the government of systematically denying them justice. They are likely "just a fraction of the actual victims," the Zimbabwe Association of Doctors for Human Rights said on Tuesday. Labour leader Moyo has pleaded not guilty. Pastor and activist Evan Mawarire, also accused of subversion for joining Moyo's call for protest, had his application for bail delayed until Friday by the High Court in the capital, Harare. He has been detained for a week. In Harare's city centre and in many of its working-class and poor suburbs, armed soldiers maintained a presence and at times beat up people, according to residents, non-governmental groups and the opposition.